1. 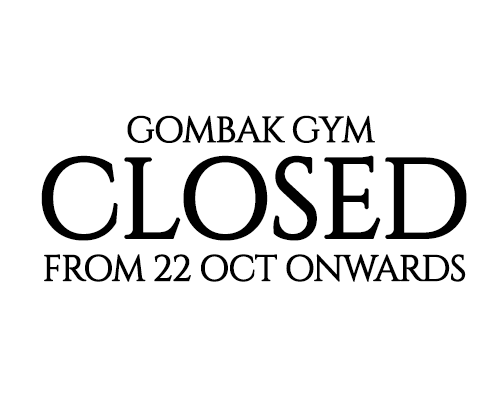 SAA Gombak gym will be closed from 22 Oct (Wed) onwards as we are shifting to Kallang Practice Track. New Kallang gym tentatively will be operational by 27 Oct, Mon (Usage from 6am to 10pm). 2. A SAA staff be at U23/Open C’ship held at Kallang Practice Track this weekend. Carded athletes feel free to find the staff (Sha) so we can add your thumbprint for access to the new gym. Please be prepared to sign a gym usage waiver and provide your training days/time. We’ll setup a gym movement chart, so everyone knows and expect who trains when and what time. 3. Carded and approved athletes for the new gym at Kallang Practice Track are allowed ONE training partner. Athletes not in the SAA gym usage list SHALL NOT BE ALLOWED TO USE THE FACILITY. 4. Athletes and coaches who wishes to use the gym under approved usage, please contact SAA. SAA will review your application to assist your coaching and providing potential athletes a conducive environment to train. Please provide your athletes performances, SB, PB, results.